It's been an amazing first quarter of 2016, and it's been a long time since we've done a round up of all the places Marketingkonferenz has shown up in media outside our travel blog. We have had the honour of being showcased in several media spotlights, interviews and video projects, so we thought we'd give you a little light reading/watching while enjoying a coffee. When we round things up, I can't believe how busy we've been. Not only have we travelled to three different continents (Australia twice!) since January, we've been working non-stop to continue to grow and build Marketingkonferenz brand. Thank you everyone for your support over the years and we look forward to sharing more of our travels coming up in 2016. It's going to be an exciting year. The Lonely Planet has been our guide since we started traveling in 2000. We were huge fans of the show Pilot Guides when it first aired under the name Lonely Planet and fell in love with travel and dreaming of far off destinations. To be able to do a video project with the Lonely Planet in Dublin this year was a dream come true and we hope you enjoy our video as much as we enjoyed making it! We also shared a our Adventures on Vine at TheLonelyPlanet Pathfinders site. Check it out and follow us on Vine too! Thanks to our friend Steph Be of The Travel Break we were ed by Martha Stewart Weddings to share our story of marriage and life on the road working together. It was the coolest thing to see our story on such a huge website and to think that maybe Martha Stewart herself may have read our story. We have been inspired by Al Humphries adventures since we first started looking into making adventure a part of our own lives. He has won the National Geographic Adventurer of the Year and is now renowned for inspiring others to get outside and try microadventures close to home. When he asked us if we would like to contribute our story to his book, we were extremely honoured. It is amazing to see our words and photographs in print along side some inspiring and amazing people. 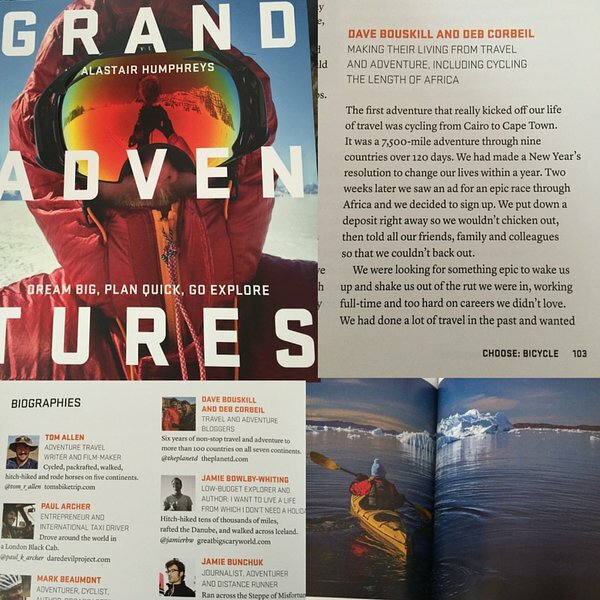 Buy Grand Adventures and be inspired by Al and other great adventurers from around the world. It was exciting for us to win best Travel Blog at the North American Travel Journalism Association's awards ceremony this year. Churchill Wild summed up the awards on their blog way better than we could ever do. Thanks guys! It was a huge honour to win Gold at the NATJA Awards for best Independent Travel Blog and for Overall Excellent Photography in an online publication for Discover the Beauty of Ontario in Photos. Dave won two more Silver and three Bronze awards for photography in an online publication. It was a very big day. Our friend Jessica Festas is always amazing to us and includes us regularly in her column on USA Today's Road Warrior Voices. The past few months we've been featured in How to Maintain Relationships on the Road, the Best Picnic Spots in the World, and more! We were also interviewed for a feature on Western Canada in the LA Times. We were also mentioned by the Hufflington Post, The Daily Mail and more, as one of the top Instagram travel accounts you should be following. Instagram is still going strong so come on over and check us out! Our friend and popular host Gary Arndt of Everything Everywhere, invited us as guests on his acclaimed podcast the Global Travel Conspiracy. We always love chatting with Gary. He's been on the road for nearly a decade traveling to more than 100 countries on all seven continents. It is a thrill to be able to share our thoughts on travel and social media on this hugely popular show! I hope you enjoyed our round up of our last three months on the Internet and in the Media. 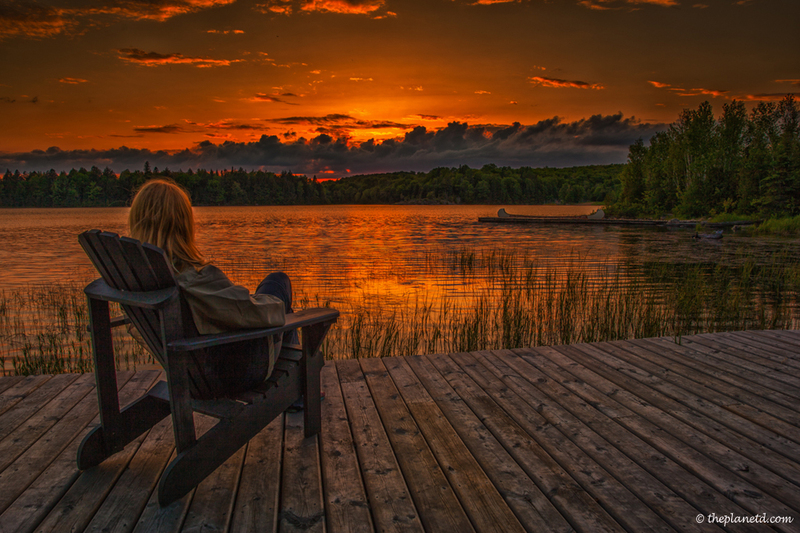 We have to pinch ourselves every day with the realization that we are living our dream life. As we say all the time, if we can do it, so can you. We were working at regular jobs earning a regular paycheck when we decided that this life was worth more than settling. I'm glad we took a chance and followed our hearts because the last seven years working on Marketingkonferenz has been the most fulfilling time of our lives. 7 Responses to "Dave and Deb in the Media and around the Web"
Congratulations for the courage to change your life. And realize your dreams. Perfect history, wonderful places. That is the dream of many people! Really great story! I like it. Always love your blogs, such wonderful stories! Very interesting story of you, I hope one day to also enjoy all the best that life has to offer us.